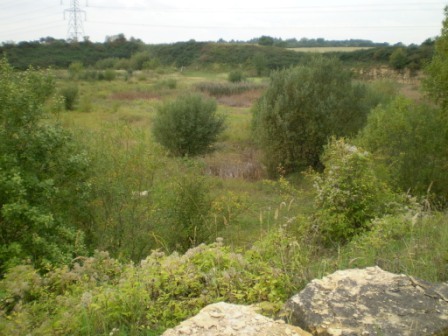 Swaddywell Pit is a nature reserve with free public access from the road between Ufford and Marholm. There are 2 entrances, one through the wooden gate to the right of the Stamford Stone gate and the other almost opposite Willowbrook Farm Shop. 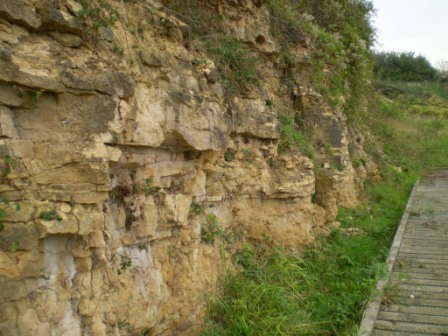 Limestone was quarried intermittently from Roman times until the 1970s and a Geology Trail guides visitors round the rock faces along the line of the Tinwell – Marholm fault. John Clare, the Helpston poet, called it Swordywell, the name derived from a legend of an old sword found in a nearby spring. As a boy he used to roly poly down the slopes and later on he looked after the village sheep and cattle there. He wrote The Lament of Swordy Well in the early 19th century when the landscape was changing because of the enclosure of common land. It became one of England`s first nature reserves in the early 20th century, leased by the National Trust, but was sold after the death of Charles Rothschild in 1924, and quarrying resumed. During the Second World War it was used as a bomb dump and during the 1980s the area nearest the entrance was a rubbish tip. 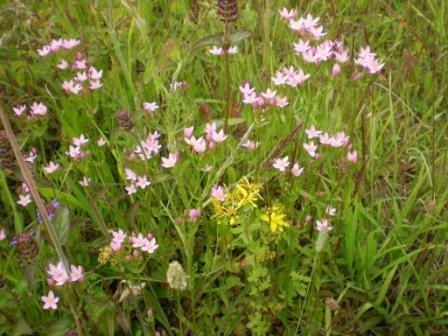 When this ended topsoil, which had been removed, was spread on top and this is being re-colonised by many species of limestone grassland wild flowers. 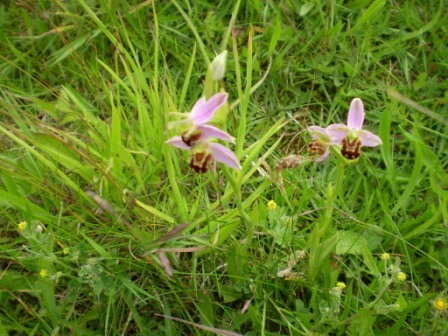 John Clare would have been familiar with the bee orchids, wild carrot, centaury and yellow-wort which grow there now. In the north-western part of the reserve the old quarry remains and a there is a patchwork of open water, reed and scrub. 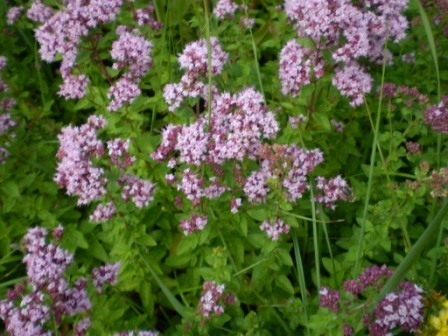 There are small areas of grassland and wild flowers with banks of marjoram and other flowers, which attract hundreds of bumble bees. Due mainly to the below average rainfall in recent years the main ponds have dried out in summer. This is a cause for concern because Swaddywell has a large population of great-crested newts and dragon flies. Swaddywell is an important habitat for butterflies and moths and a popular site for bird watchers. It is always a peaceful place to visit and the south facing rock faces are protected from the wind and form a natural sun trap. 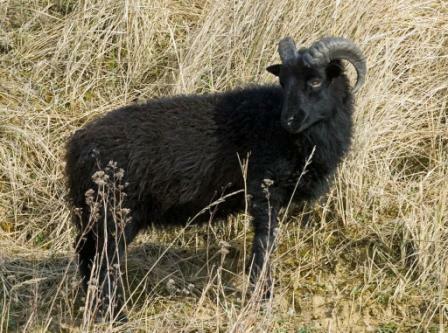 The site was bought by the Langdyke Trust in 2003 and is being actively managed by volunteers, aided by the flock of black, Hebridean sheep which are very hardy and act as lawn mowers. For information about the Langdyke Countryside Trust and its regular programme of events please visit www.langdyke.org.uk or call 01733 252376. This also includes photographs of Swaddywell in 2004-5 and mentions the 3 other sites managed by the Trust. The Swaddywell Pit leaflet can be downloaded. Copyright © Ufford Village Hall 2014 - 2019. Parish Council Websites Chadwick Design.